UK Finance minister, Philip Hammond has delivered his second annual Budget, unveiling lower growth forecasts and higher borrowing due largely to Britain’s vote to quit the European Union. Mr Hammond – who has been accused of being too pessimistic about life outside the EU – said the government would prepare for “every possible outcome,” and nonetheless plans to spend more in the next couple of years to offset the impact of Brexit. In a rebuff to his critics, he earmarked an extra 3.4 billion euros to ready Britain for leaving the European Union. 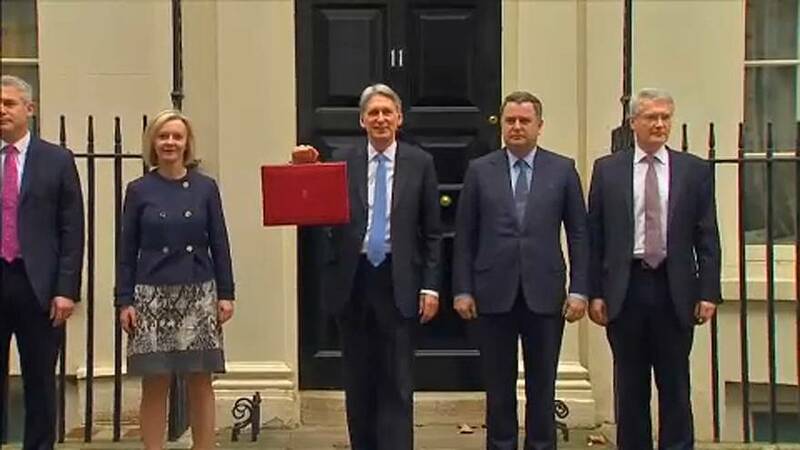 Putting a brave face on the official forecasts showing weaker growth, lower rises in productivity and worse public finances in the medium term, the chancellor outlined a Budget that he said would create a “future that would be full of new opportunities”. The Office for Budget Responsibility cut the projected growth rate for 2017 from 2 per cent to 1.5 per cent. The independent fiscal watchdog added that its projections for future years were also significantly worse than it had forecast at the time of the March Budget. ‘We are listening and we understand the frustration of families where real incomes are under pressure. So at this budget we choose a balanced approach. Despite these lower forecasts, the chancellor presented the budget as a set of measures to tackle the long term problems in the British economy including the housing market, low productivity growth and geographic inequality. He said too much of the UK’s economic growth was concentrated in its capital strategy, and he was backing the northern powerhouse and the Midlands engine initiatives. He announced £300m for the High Speed 2 project to incorporate further improvement in the train network in the north of England as well as more money for elected conservative mayors in the Midlands and Teesside and a new devolution deal for North Tyneside.